What is lost in Morris’s study is the all-important role of context. But Morris does not think context that important for this word-study. He quotes with approval B.B. Warfield on lutrew: “the only reason for this verb’s existence [was as] an unambiguous term which could convey with surety and without aid from the context…the express sense of ‘ransoming’.” (13,fn). On the basis of this c.19th linguistic opinion, Morris writes ‘when they chose to use lutron…it was because they wanted a term which expressed in itself, and not simply by inference from the context, the idea of release by payment…The very existence of this word-group is due to the desire to give precise expression to the concept of release by payment’ (12). That gives the game away somewhat! All the study of usage (context) is here admitted to be unnecessary, since the word already has a fixed, stable, inherent, single meaning. There were some people, apparently, who wanted a word that could only mean one thing, and by looking at the word itself, we can see what it was they desired in their hearts: they desired to say ‘ransom’ with no ambiguity. So they built this word, and they made it so clear that its meaning was not able to be altered later afterwards. The meaning they intended for it at its birth controlled the word from then on. Why is Morris so set on this meaning? It seems that perhaps we were right to suspect, back at the start, that he planned to do word-studies from the point of view of a pre-existing theological structure (”the NT picture of the atonement”). For ‘payment’ as the meaning of ‘redemption’ is a controversial idea in modern theology, and the evangelical party upholds it strongly. We might be forgiven for wondering if the needs of theological controversy, rather than the canons of linguistics, have perhaps played the dominant role in this study. It reads very much like a ‘study’ in which the conclusions were pre-determined from the start: indeed the basic word-meaning is settled on the first page! Thus from many directions we see a stress laid on the cost of our salvation, and this should be borne in mind in estimating the writer’s thought on redemption. Even when he is not using that exact term, he has the idea of cost that it denotes (p.40 – my italics). Here it is clear that by ‘redemption’ Morris does not mean the word, but rather the theological concept which exists in the mind of the writer. It is wrong to separate the legal status…from the resultant life. The only redemption Paul knew was one in which the redeemed had the gift of the Holy Spirit, and in which they lived as those who had been adopted into the family of God (p.59). The result of this adding is of course an accumulation of ideas, a complex and nuanced concept: in other words a theological structure. But the whole structure is seen to be contained in the word redemption. Barr warned about this tendency to load up words with a composite meaning resulting from adding up all its usages (his so-called ‘illegitimate totality transfer’). In this case Morris has developed a carefully shaped set of ideas, including causes and resulting effects, and even pastoral consequences: and all under the aegis of the word ‘redemption’. This is what Morris calls the word’s ‘full meaning.’ He is apparently not acquainted with the idea of ‘meaning sets’ (or semantic range – see post 9). By the end, it is clear that Morris really is attempting to do theological and word study simultaneously. He is starting at both ends of the reading process simultaneously. Methodological muddle is built into the deep structure of the study. In fairness to Morris, it is likely that he was not linguistically educated. He may well have been sincere in his efforts, and unaware that his methodology is flawed at almost every level. This is probably not a case of deliberate distortion, but more an example of how badly wrong bible scholarship can go under the pressure of theological controversy, when not underpinned by good reading practices. Was it fair of us to expect Morris to employ the principles of modern linguistics? Was anyone talking about this stuff back in the 1960s? Yes they were. The third edition of Morris’ book was published in 1965. James Barr’s The Semantics of Biblical Language had exploded onto the biblical studies scene in 1961, four years earlier. It had caused a huge stir. It later provided much of the content of Don Carson’s popular book Exegetical Fallacies. Yet in the course of his study, Morris commits pretty much every linguistic sin in Barr’s book – not as accidental one-offs, but as deliberate and sustained policies. As we have noted, the substance of this chapter from The Apostolic Preaching was reproduced by Morris in the New Bible Dictionary, 3rd edition, in 1996, thirty five years later. Morris had every opportunity to read and learn from Barr’s work, yet he ignored it. This unhappy assessment should not discourage ordinary bible readers: with basic linguistic principles such as the ones we’ve been learning regarding context, a bit of calm, and ideally the assistance of Bible software, ordinary readers can get a long way in finding out what words mean. And this will help us listen to the text. Now we’ve got the basics of lexical semantics under our belts, it’s time to test drive it (can you test drive something that’s under your belt?). Authorities John Lee and Moises Silva claim that bible scholars do a surprisingly bad job of employing these basic principles regarding context. Are they right? As a test case, let’s take a look at the work of the foremost evangelical scholar of lexical semantics, Leon Morris. 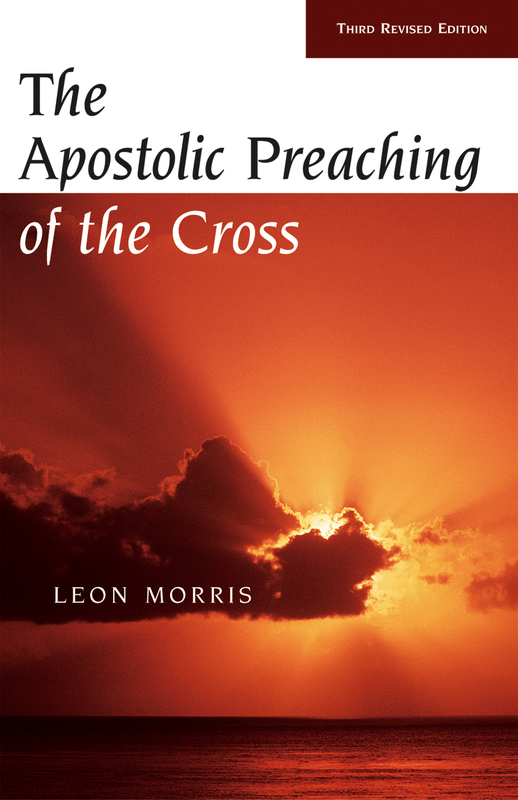 Morris’s work, The Apostolic Preaching of the Cross, though not recent, is still in print and influential in evangelical circles. We will focus on chapter 1: Redemption. 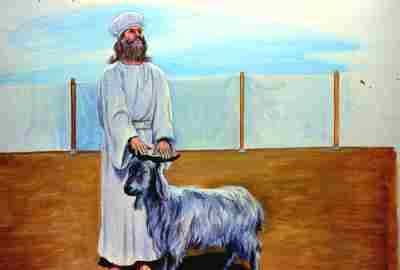 The substance of this chapter was reproduced by Morris in the New Bible Dictionary, 3rd edition, in 1996, and so may be said to represent his mature position on the subject. This is the study John Stott relied on in his book, The Cross of Christ (see previous post). What sort of study is Morris attempting? In his Preface he states that he will be studying ‘certain key words which are crucial to the New Testament picture of the atonement’ (8). It seems this will be a word study then. However, we have to wonder at the ‘crucial to the atonement’ criterion. How does Morris know in advance which words are crucial? Is Morris proposing to do word-studies from the point of view of a pre-existing theological structure (‘the New Testament picture of the atonement’)? This is one of the things James Barr was so critical of in his demolition of TDNT (see previous posts). The danger is that theological considerations will foul the results of the linguistic study. Morris embarks on his study commenting ‘we may well be surprised at the…rarity of its occurrence in the New Testament’ and ‘Christians found it a convenient term to use’ (11). There just one problem here: he hasn’t told us which term he’s talking about. No Greek word has yet been mentioned. It seems Morris has in mind to study the English word ‘redemption’. But this word does not occur in the NT, where all the words are Greek ones. How can we study this word in the NT then? We can only conclude that Morris intends to study the concept of redemption in the NT. Though he said earlier that he wanted to study words. This is not a promising introduction: the confusion between concept and word, which Barr identified as a besetting sin of biblical theology, seems to be rearing its ugly head. We proceed unclear about which sort of study is being attempted. Are we doing linguistics, or theology? Sadly, this never gets clarified. Morris’s first sub-heading is ‘Etymological Considerations’ – an ominous place to start from the point of view of linguistics. Morris intends to start with word-origins. The greek word lutron is introduced as the ‘basic word in the word-group’. But Morris begins his etymological study not with lutron but with the word it is derived from: luw. Apparently even the origin of this parent-word contributes to the NT meaning of lutron. This is pushing pretty hard on etymology. On the basis of word origins alone, Morris can already determine the word’s meaning, concluding ‘its meaning accordingly is ‘payment for loosing’ ‘(12). This is presented as a basic meaning inherent or from the word’s etymology apart from any contextual considerations – a notable prioritising of origins over usage. Other related (cognate) terms such as lutrosis are given the same ‘core’ meaning of ‘payment for loosing’ on the same basis – etymology. This is the ‘intrinsic’ meaning of the word group. From here on Morris seems determined to stamp this single meaning on every occurrence of the term in Scripture. Now that the basic meaning has been established, Morris can consider usage! Still under his heading of Etymology, Morris considers secular usage over a 300 year period, en masse. Here too he is looking to find a single meaning. The possibility that meaning may have varied with time is not considered – after all, we already know the basic meaning from the word’s origin! After this, OT and then NT usage are similarly considered. But by now the definition is entrenched and suffers no alteration. All usages are found to agree with the ‘basic’ meaning, involving payment, although sometimes usage is quite stubborn and uncooperative! There are times when usage requires a great deal of explaining before it can be seen that the ‘basic meaning’ is preserved in all cases. Lutron is often used for the payment to free slaves. But it is also used in a very different area: for general sacrificial offerings. For this sacrificial field of meaning, rather than consider the possibility of a different meaning, Morris manages to fit it into his etymological one. Here’s how he does it: worshippers are cast in the role of prisoners or slaves, and the offering is considered the ransom price for their freedom. Nice. There is no attempt to show that these ideas can be found in the context – it is enough that the practice can be massaged into harmony with the ‘core’ meaning. The possibility that usage here might contradict etymology is not seriously considered.